[Quick] fastest timely arrival, FREE service fees. 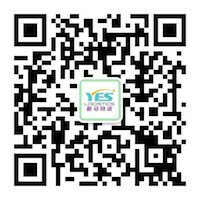 In order to facilitate overseas Chinese and domestic customers sign international parcels, Yes launched a free SMS message / Email notification service, you need to spend twelve minutes time to fill out your information online, you can enjoy a free day delivery notification. For Paohuo, send DHL, Skynet, CityLink express delivery will count volume weight,Yes Logistics provides compression Packaging (vacuum compression) services, so to minimize the volume of parcels, to save you money 30% -50%.